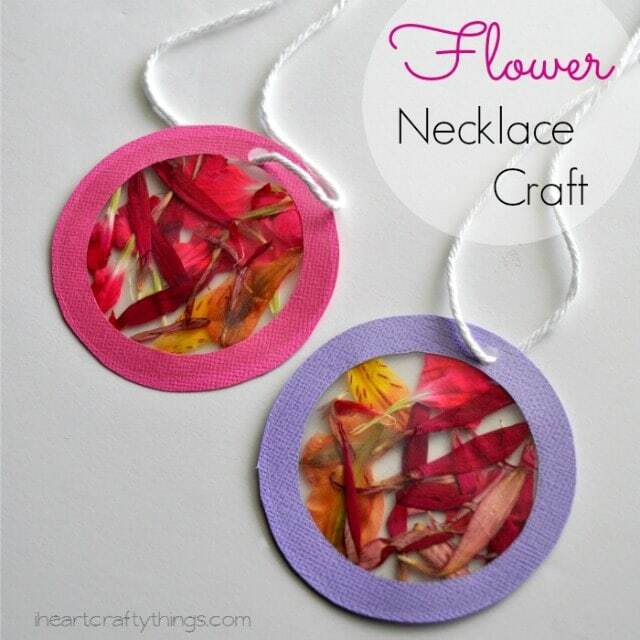 I have such a simple and beautiful craft to share with you today, Flower Necklaces. 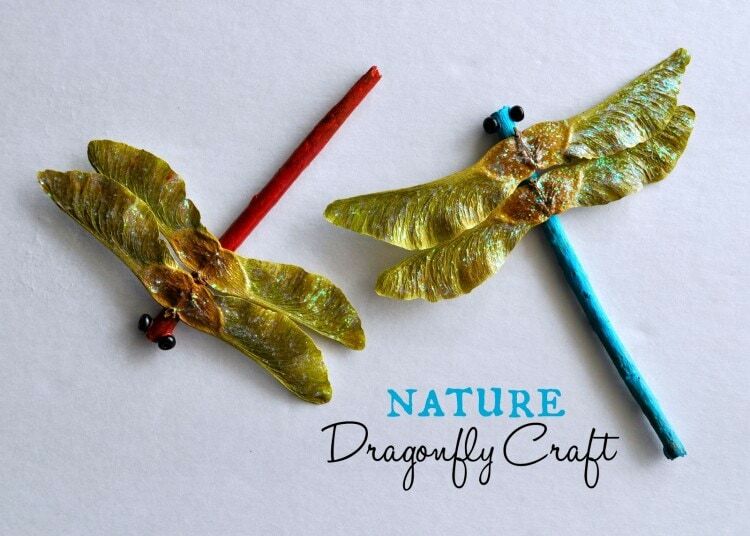 It is a fantastic activity found in Jean Van’t Hul’s new book The Artful Year. Disclosure: I received a free copy of The Artful Year in exchange for my fair and honest review. I only review things that I love on my blog. This post contains affiliate links. Read our Disclosure Policy here. 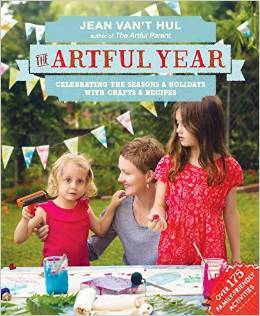 I have long since adored Jean and her blog, The Artful Parent, and her book The Artful Year is a continuation of my adoration for her. She has a warmth about her and a love for life and her children that fills your heart with joy and brings you a desire to create meaningful experiences with your family. 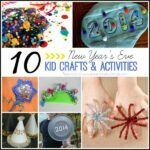 The Artful Year takes you through all four seasons of the year filled with over 175 family-friendly activities that can help you create seasonal and holiday traditions and happy times with your family. 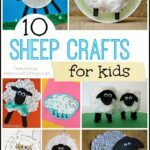 Not only are there arts and crafts, but she also adds recipes in each section that your kids can make alongside with you. You can also find book recommendations about the seasons and holidays. Jean’s words speak to me as it’s this very reason why I adore crafting with my children so much…to cultivate creativity and to create family bonds. I have no doubt that you will pour hours and hours into this book and that your family will benefit with priceless memories made throughout the year. 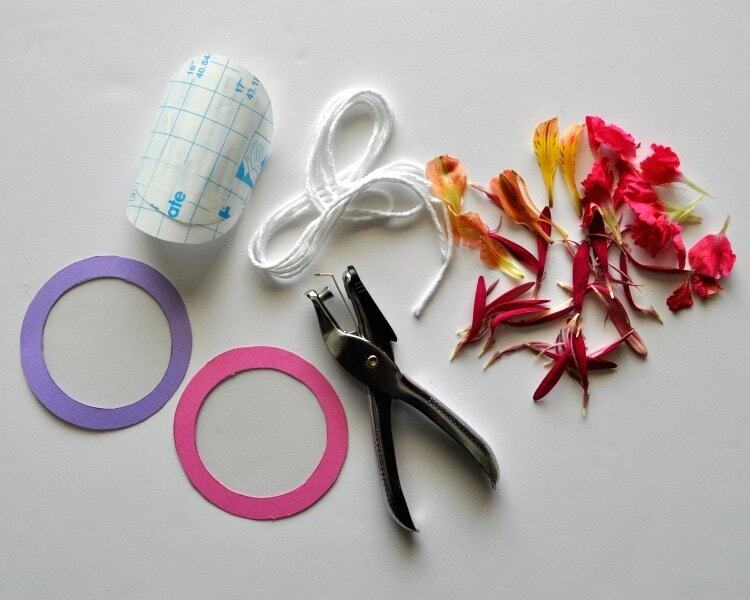 As for me, I’ve already bookmarked about 25 different activities for the next coming months that I can’t wait to use as spring and summer come. 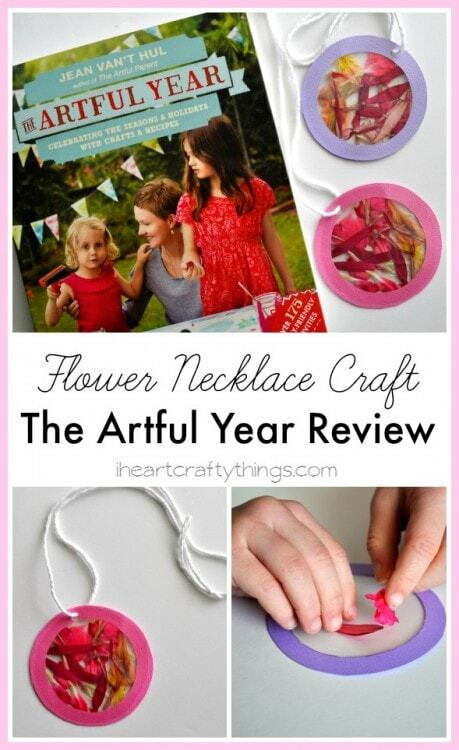 There were so many top contenders for our first activity but we happened to have some fresh flowers at home and my daughter loves jewelry crafts so my daughter and I made Flower Necklaces. We gathered all of our materials and got to work creating. 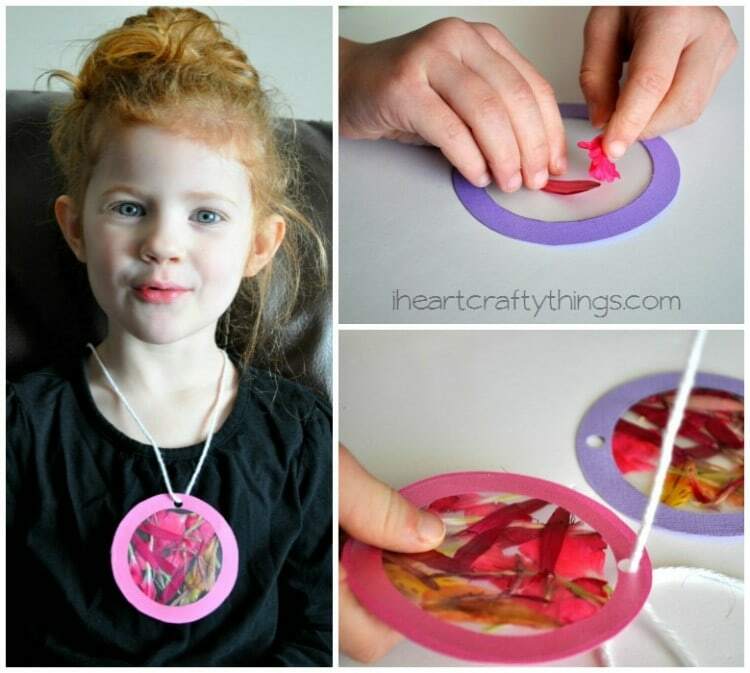 I did all the cutting for my daughter (the doughnut shapes were tricky for a preschooler), and then she created her flower designs all over the sticky paper, before adding another sticky paper layer on top of the flowers. My daughter punched a hole and threaded a string through the flower pendant and we tied a knot in the string to finish the necklace. 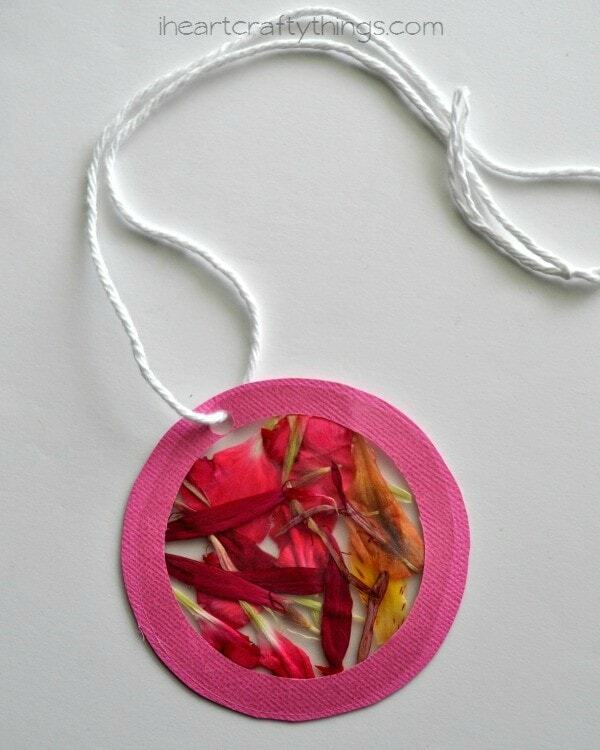 The necklace turned out stunning with it’s vibrant pink and red colors. My daughter was super excited to wear her creation to preschool to show it off to her classmates. The Artful Year is now available for purchase on Amazon or at your favorite local bookstore. 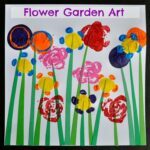 This would make a fantastic gift for any occasion and also for Mother’s Day coming up, so make sure to get additional copies for your family members and friends. You might also enjoy Jean Van’t Hul’s first book The Artful Parent. You can also learn more about The Artful Year by following along with the Blog Tour, where you will find more activities from the book, interviews with the author and several giveaways to win your own copy of the book.